The hotel also received a Commendation for Excellence, Best Newcomer category, for its wine list at the 2018 Condé Nast Johansens & Champagne Taittinger Wine List Awards. The wine list champions English sparkling wine, curated by award-winning sommelier Andreas Rosendal. 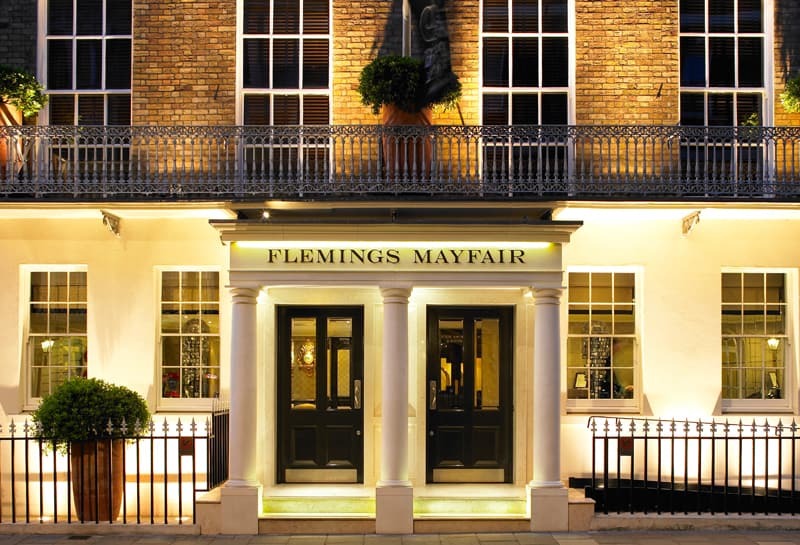 Following a multi-million pound refurbishment, Flemings Mayfair, part of the Small Luxury Hotels of the World, boasts 129 newly renovated guest rooms, suites and apartments, a tea lounge, 1930s’ inspired bar and highly sought-after restaurant, Ormer Mayfair, headed up by Michelin-starred chef Shaun Rankin. The hotel has been privately owned by the same family for over 40 years. Condé Nast Johansens is the premier reference guide for independent travellers with a readership of 5.8 million. Nominees for the awards are based on responses from online voting, guest feedback and Local Expert reports. The Awards for Excellence are a trusted mark of quality recognised by consumers and professionals alike.